Allison Dalton is an Associate Professor at Art Center College of Design in Los Angeles, where she teaches project-writing and supports students’ writing and research practice in studio art and design classes. She is also an ordained reverend of the Los Angeles branch of the Church of Craft. 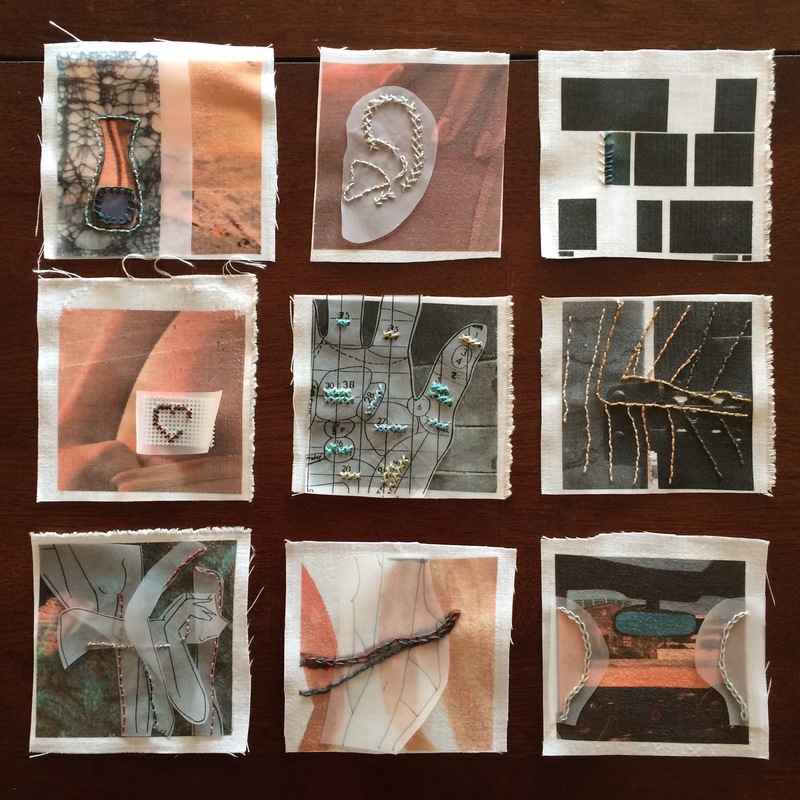 Her recent work has lately included a cut-paper stop-motion animation and an artist’s book reproducing and mulling over objects she inherited from her unknowable paternal grandmother. She has a fiction MFA from Columbia and an undergrad degree in Creative Writing from UC Santa Cruz. 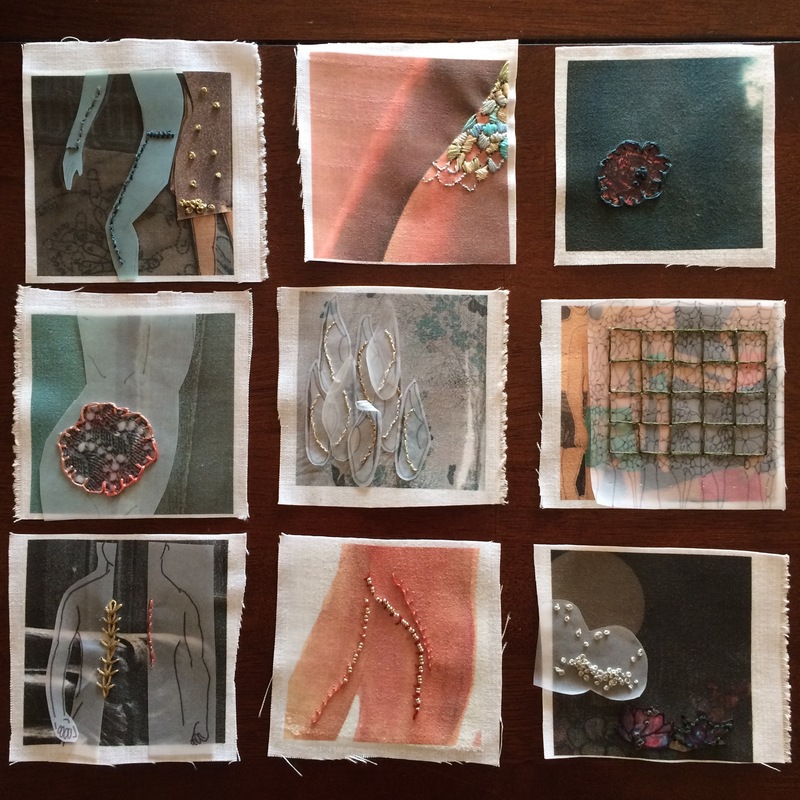 The illustrations for this issue, aka the “Brevity Charm Pack,” comprise a collection of 18 quilt squares (seen in the illustrations on this page) made of previous work and found images transferred to fabric, then layered with drawings, scans of her hand-knitting, paper, and embroidery. More of Ms. Dalton’s work can be seen on her website.